How to apply / remove Stop sell in New Extranet? How to create Derived Rate plan? How to Redirect / Open to Old Extra-net from New Extra-net? How to update Inventory/Rates/Stop sell and other data from New Extranet (eZee Rise) for 15 days at ones? What is BookingSuite – RateManager? What can be done if Bookings from Channel Manager has not arrived in the system ? 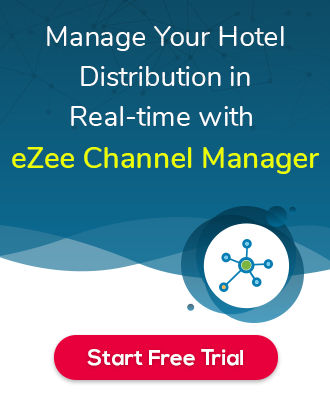 If Bookings from Channel Manager has not arrived in the system then you need to fetch it manually from Distribution > Fetch Bookings > Enter SelectIf Bookings from Channel Manager has not arrived in the system then you need to fetch it manually from Distribution > Fetch Bookings > Enter Select Channel and Booking ID. What is the possible Reason behind booking not received from the Channel ? If the booking is not received from any channel then please update client that we are not processing any booking which is not confirmed. So client should be inIf the booking is not received from any channel then please update client that we are not processing any booking which is not confirmed. So client should be in touch with channels to make any booking in confirm status as ezee process the bookings only in 3 modes: confirmed, modified or cancelled. In this case, we need to communicate with the Channels with providing them the Success server log and getIn this case, we need to communicate with the Channels with providing them the Success server log and get resolved. What is the reason behind the bookings from the OTA sent multiple times to guest ? The reason is only that OTA is sending booking multiple times to Channel Manager. i.e The number of times Bookings received from OTA = The number of timesThe reason is only that OTA is sending booking multiple times to Channel Manager. i.e The number of times Bookings received from OTA = The number of times Bookings is sent to the guest. No, Channel manager never sends the email notification to the guest. Only OTA will send booking notification email. Can Channel Manager send the OTA Booking email notification to guest ? No, Channel manager never sends the email notification to the guest. Only OTA will send booking notificationNo, Channel manager never sends the email notification to the guest. Only OTA will send booking notification email.